Well, on this day it was in the 30s in Philadelphia, but the signs of Spring were all around. I shot these back in 2011, in our backyard. 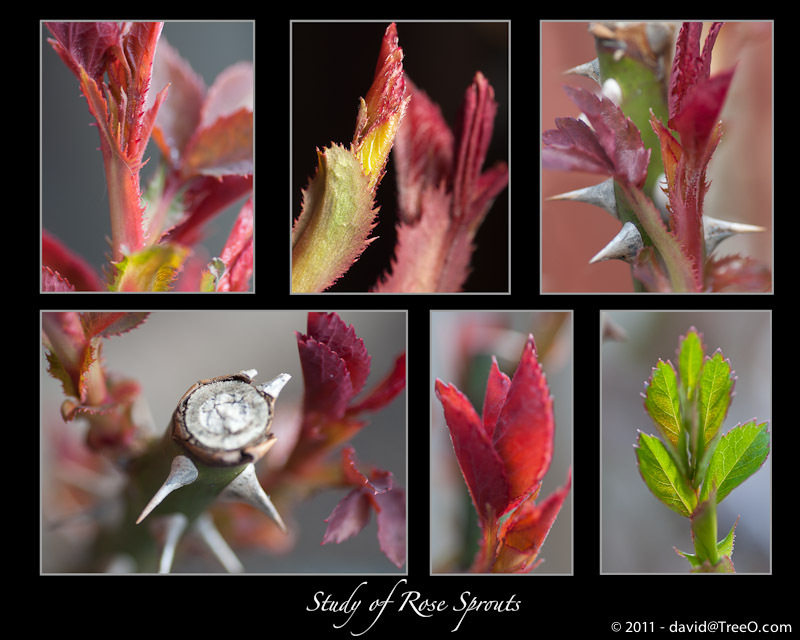 Many of you are familiar with our family rose bush from previous photographs. It’s one of my favorite subjects. When I spotted it sprouting, I threw on my macro lens and started shooting. I hope you like this piece.Your comments or questions here. What kind of lens(es) are you using for your close-up photos? You are able achieve very good ‘bokeh’ and are able to allow foreground and background flower petals to be blurred. I use a 90mm Tamron SP Macro lens. It’s a fixed focal length lens. I really like it. Wow! Beautiful shots. That lens is amazing! Don’t you love Spring? Our backyard is blooming too! With all the rain this winter in LA, everything is bustin’ out!